FISL 12 was a Blast! 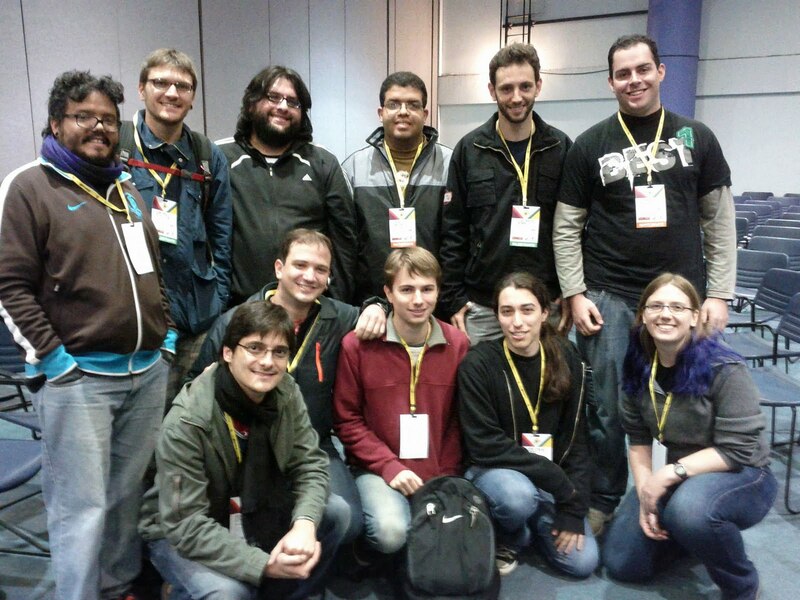 Earlier this summer I attended FISL 12 in Porto Alegre, Brazil. The International Free Software Forum (FISL) is one of Latin America’s largest free and open source software conferences, regularly drawing thousands of attendees from across the globe. I spoke to the crowd on the first day of the conference (and right after the state governor!) about the Google Summer of Code program. I gave an overview of Google Summer of Code for those attendees who weren’t familiar with the program. I also highlighted some interesting statistics from this year’s program and encouraged everyone in the audience to participate in future programs and to spread the word to their friends and family. We had a meetup later in the day where I heard firsthand from the students attending the conference about their experiences with the program. Some of the students at the Google Summer of Code meetup are working on their first year of the program and others had participated in the program for as many as four years. No trip to Brazil would be complete without some delicious Brazilian cuisine - fellow Googlers and I had a wonderful dinner at the churrascaria we went to after the conference was over. The city of Porto Alegre is absolutely beautiful, and the people were a pleasure to meet! I will definitely be returning to Brazil soon, thanks to everyone who made my stay so much fun!